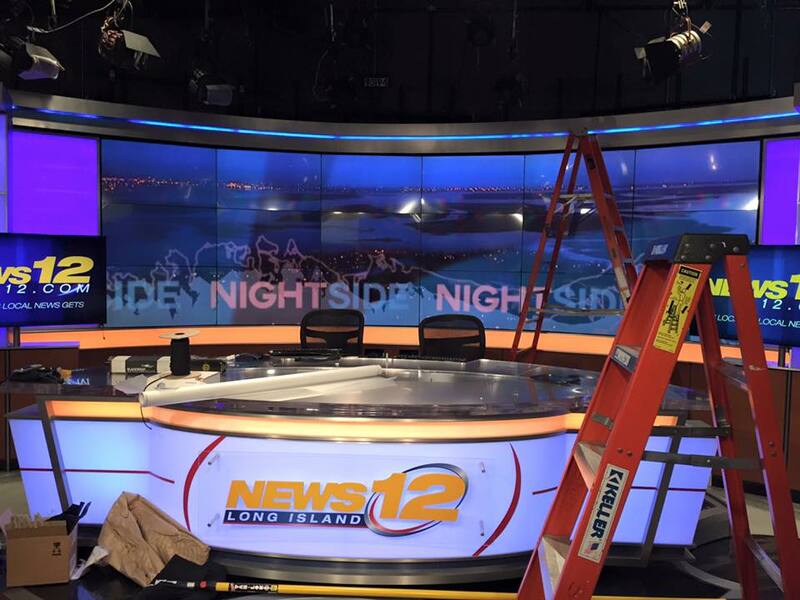 News 12 Long Island, one of Cablevision’s 24-hour rolling news networks, debuted an updated set Monday, as well as a new program. The set swapped a large graphic behind the main anchor desk for a 6×3 monitor array from AV Design Services, which featured an animated map graphic with large text. James Yates Production Design worked to update and expand the set, with blackwalnut providing fabrication. The change was timed with the launch of “Nightside,” the networks new 7 p.m. newscast.